‘Never let me go’ is the latest episode of Alphas. After last weeks excellent episode I was really anticipating this one as well. Though it is ultimately not as good as last weeks we do get to see the alphas formula starting to mature, and it doesn’t disappoint. The story is simple enough, there are unexplained deaths at a highschool and the Alpha team is sent to investigate. This week they got badges and they now belong to DCIS (DCIS!!!! as gary likes to put it). The episode is Rachel centric meaning we learn more about her families difficult history and her attempts to come to terms with her extraordinary nasal faculties. At first an attempt is made to exclude everyone else but Dr. Rosen and Rachel from this episode but eventually the rest of the gang does join when the investigation starts to center on a ‘Alpha’ suspect. 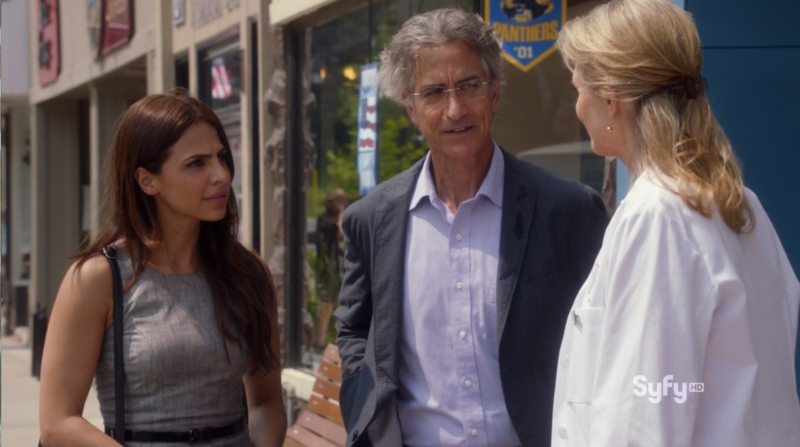 In this episode we are also graced by the appearance of Dr. Vanessa Calder (played by Lindsay Wagner), a crossover character from Warehouse 13. Though I wont spoiler the story any further this episode does have some hit and miss elements. One definite miss is the setting, which with its sunny provincial colouring does not add any suspense to the story. In fact, since we have departed from the urban setting for several episodes one can only assume that the budget for the show is tight. The hits however outshine the misses. The special effects that shows the affliction people suffer from Alpha attack is very good and very creepy. The story keeps viewers guessing the exact alpha skill used by the antagonist, this is done deliberately because otherwise this show would have problems with Alpha skills becoming a sort of ‘deus ex machina’. 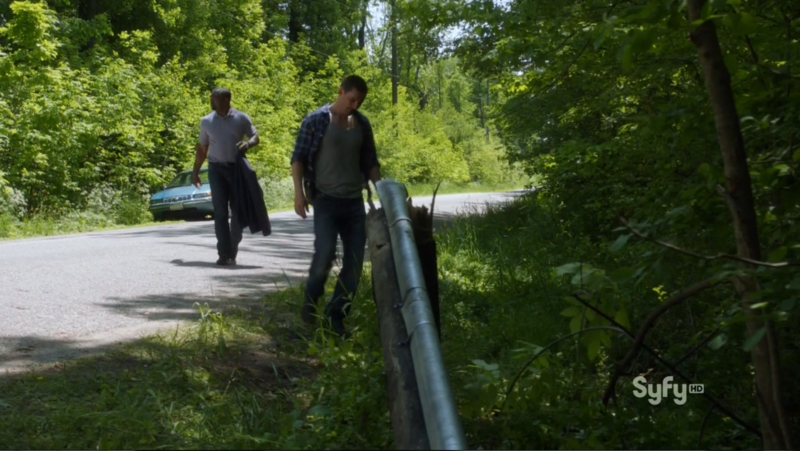 Next week’s Alphas preview…. ‘Bill And Gary’s Excellent Adventure’. Next week will see the guest appearance of Alaine Huffman, whom we now from Stargate Universe as T.J. Previous story Star Trek ‘Cast no shadow’ book review!